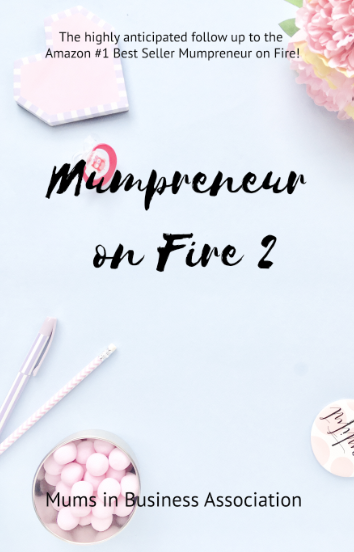 Earlier this year I was fortunate enough to read and review Mumpreneur on Fire by Estelle Keeber. 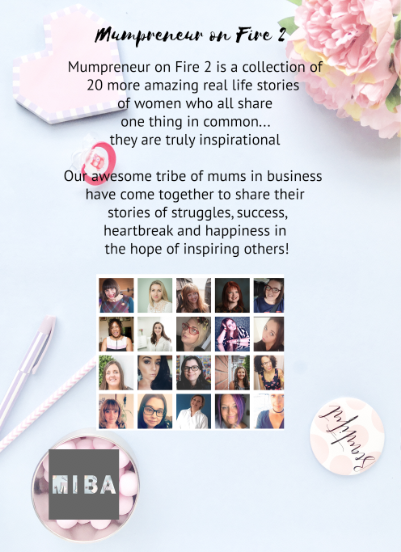 I first met the Mums In Business Association on Instagram and I love all the things they do to help support working mothers. The first book was an Amazon best seller which is pretty incredible! I was thrilled when they asked if I wanted to read the upcoming installment of Mumpreneur on Fire Vol 2. 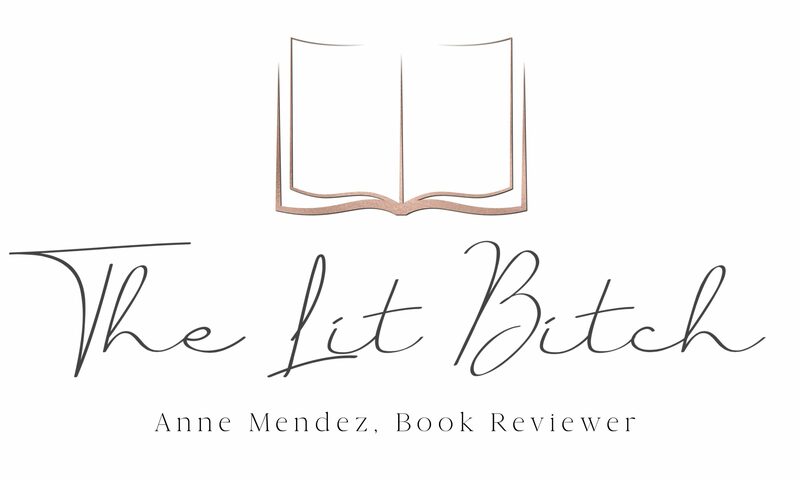 I was happy to review it because each of the stories are so powerful and inspiring. This book is similar in format to the first volume–a number of women each telling their story about how they got into business either for themselves or with friend and what life situations lead them to their fork in the road so to speak. I am continually impressed by individual stories. While I might not connected or relate to every single story, I am no less impressed by their voices. Some of these women have over come incredible odds and been faced with truly difficult life decisions where there is no right or wrong or easy choice. There were many stories where I found myself thinking–wow its impressive that these women took some pretty difficult circumstances and made something beautiful happen. It’s incredibly inspiring to read stories such as these even if you haven’t had a similar situation or maybe aren’t a mom–their stories transcend those boundaries. I think the story I was most impacted by was Natasha. She was assaulted and ended up pregnant, how had it must have been for her to make the choices she did but in the end she salvaged her life and made some serious changes. This story was very moving and I continued to come back to it, thinking about how she changed. Others might have made other choices or resolved themselves to the path that they were on, but not her and that’s to be commended. Each story is unique. Some women tell their story in a few short pages where as others fill many. I love how each story is varied and different from the one before. One of the things that I suggested with Vol 1 was that each woman write a little bio and link their social media and/or business sites within each story. In Vol 1 there was a section at the back but it would have been easier to have each woman’s info at the beginning or end of each story. I was thrilled that this Vol took that advice! I was able to quickly find each woman and their business plus it was fun reading a little bio about each one. Supporting other women and mothers is so important in our society. It’s so easy for new moms to get down on themselves and feel overwhelmed by their unique situations. Sometimes all it takes to propel a new mom forward is someone sharing their story and telling them that it is possible–even against all the odds. That’s where this book comes in. It’s not a self help book or guide to ‘doing it all’, but rather it’s a book meant to inspire women to keep pushing through the hard times. I love the message that this book sends and I loved reading about each woman’s unique story! Also if you are a mom thinking about getting into business, then MIBA is a great resource for you to look into.